After emerging from a five month trading halt yesterday iCandy Interactive Limited (ASX:ICI) reported that its newly launched mobile game, Light A Way, has garnered exceptionally good traction. 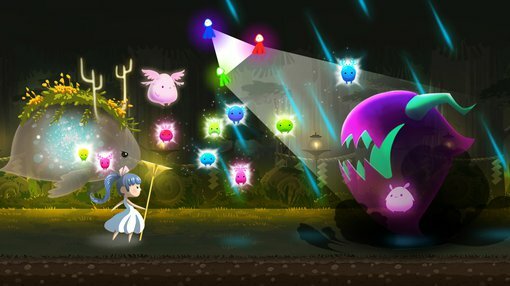 Light A Way is a fantasy-themed adventure clicker game, a unique genre that is relatively new and innovative to international gamer community. Light A Way has already generated more than 800,000 unique installs on major app stores and its daily revenue is rising steadily since it was launched. Over the weekend of 14-15 April 2018 Light A Way charted a highest daily revenue of A$13,000 per day — the highest ICI has seen within its stable of games. Light A Way was developed in-house by ICI’s award winning studio, Appxplore. The company also announced that it will be offering a Loyalty Option to shareholders who have been supportive of the company throughout the trading halt. ICI entered a trading halt on 15 November 2017 during an attempt to takeover another company, which did not eventuate. The Loyalty Option will be offered to existing shareholders on the basis of 1 new Loyalty Option for every 2 ordinary ICI shares held at a future record date. This will be a listed option trading on the ASX. ICI is also proposing the listing of its existing A$0.10 unlisted options on the ASX. The details of the option are still to be provided to shareholders.